May 31, 1889: Heavy rains. 5-10 inches in the mountains of western Pennsylvania in 24 hours. A dam bursts and a wall of water estimated at 36 feet high plunges down to engulf Johnstown, Pennsylvania. 2,209 people died. Arguably, the worst tragedy in US history. Afterward, the scandal of the dam. We have two books at The Eclectic Reader on this disaster. 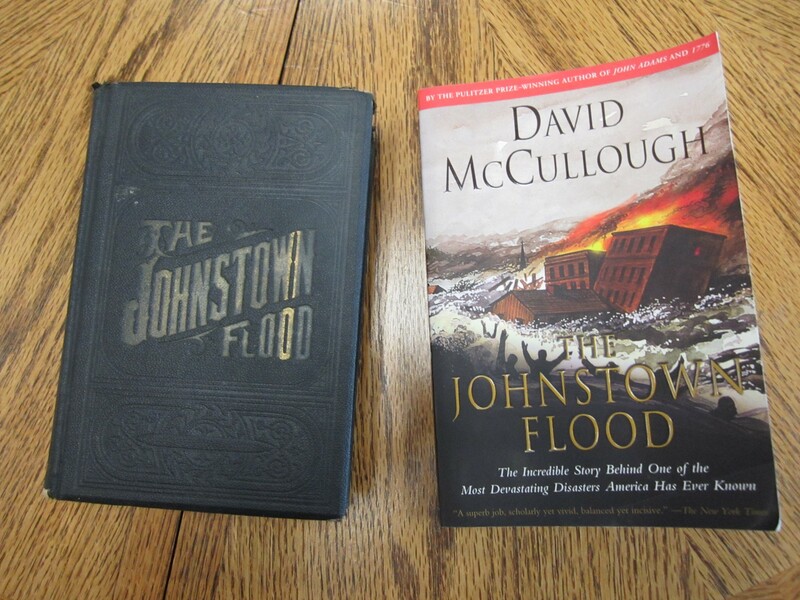 The incomparable David McCullough has written his version of the story in The Johnstown Flood, published in 1968. ($8, used.) Then there is The Complete History of the Johnstown and Conemaugh Valley Flood by Geo. T. Ferris, published in 1889. As far as I can tell there are only two copies of the real book online. This one is available at $100. If you are fascinated by disasters, (who isn’t? ), I have a collection of books on more of them…from the San Francisco earthquake, to the Chicago fire, to the Galveston hurricane of 1900. Also, I have a fair selection of books on firefighting history, sea disasters and shipwrecks. Everyone loves a great collection of facts woven into a wonderfully written story about historical events disastrous and otherwise. You always have an eclectic selection. Thank you for your store!